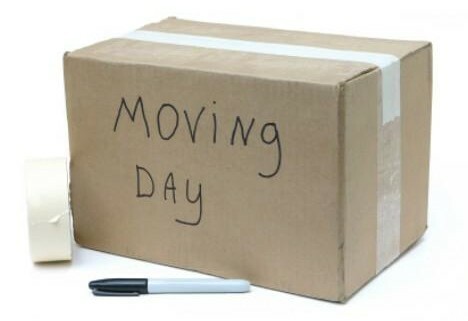 Label your boxes – We suggest each box is clearly labelled using a marker pen with the name of the room where it should go in your new property. This will enable us to place your boxes in the appropriate room when unloading, and will avoid having to open boxes to find out what they contain. It will also ensure you do not have to carry boxes around after we have finished. Any delicate or valuable item should be carefully wrapped with bubble wrap or tissue and put into a box labelled as fragile. Box everything – It is a good idea to pack everything you possibly can into boxes. It is much more secure and easier to move a box than to try to carry several bags of small items whose contents could spill out. Use sturdy, uniform sized boxes – It is much easier to stack boxes of uniform size, which maximises the load capacity of our lorries or your car or van. Please do not use boxes from your local supermarket as they are not built to carry your treasured possessions! Better to use sturdy boxes made for the purpose. Don’t overfill boxes – Please ensure your boxes are not overfilled – remember they have to be lifted and carried! Overfilled boxes are more susceptible to break under the strain. Don’t under fill boxes – Partially filled boxes may collapse if heavy items are placed on top of them. Try to distribute your possessions evenly in the available boxes. Ensure you have plenty of packing material – It is essential that you have plenty of paper, bubble wrap, tissue, marker pens and adhesive tape. Beware of newsprint – When packing your valuable and fragile possessions please remember that newsprint will rub off. Use plain paper where this may be a problem. Your ornaments, glassware and other delicate items can first be wrapped in kitchen roll before using newspaper. Utilise luggage space – Don’t leave your suitcases empty, this is an ideal space to pack your clothing. Your removals team arrives – We will introduce ourselves and go through the order that we will be loading our vehicles. Please highlight any particular issues to us at this point. Relax – This is where your thorough preparation will pay off, and our experienced team can begin loading your belongings carefully onto the removals vehicles. Final checks – When you think that everything has been moved out, please take a walk around with your Removals supervisor to ensure that all items to be moved have been loaded onto our vehicles. It is your responsibility to make sure that nothing is left behind. Tour your new property – On arrival at your new property please walk around with your supervisor to advise him of the room layout and where certain items should go. Directing traffic – It can be helpful to position someone at the main entrance to direct your removals team to the appropriate rooms in your new property. You are familiar with your furniture and box labelling so it would be very helpful to assist us at this stage to ensure things are placed in the correct location.